1 What is a leaf blower? 2 Different types of leaf blowers? 17 What features to consider while buying a leaf blower? Gardens in autumn could be very unsightly due to the shedding leaves. The best way of amassing this unwanted mess is through the use of a best leaf blower. 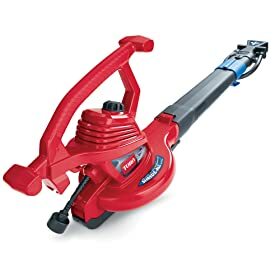 A leaf blower is essentially an equipment which generates air in order to blow away leaves and/ or sand from any kind of surface in and around your house. It is typically used in gardens for blowing away leaves, but it can also be used in summers for making decks, walkways or patios clean from sand and/ or debris. 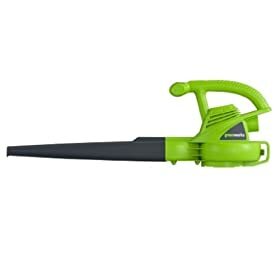 Different types of leaf blowers? This one is the most common of all the types and the first type ever used. It is an electric corded product where you need to plug in the equipment into a power switch. Its main advantage is its light weight with no battery installed in it. The performance of an electric equipment is also better than the other types. However, the length of the cord limits you to a limited space. Therefore, you could use it only for small yards, patios or driveways. 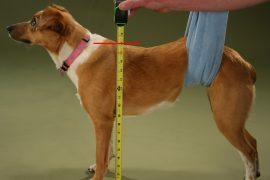 This type is best known for its excellent mobility and longer run time than the other types. 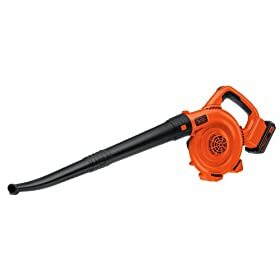 If you have a large garden, driveway, deck or patio, then this is the most suitable type of leaf blower to have. This is also the reason that such products are also used commercially as they are far more efficient and effective. They start with a pull start, given manually. They are dependent on fuel to operate and the right type of fuel could be determined by referencing the product’s user manual. 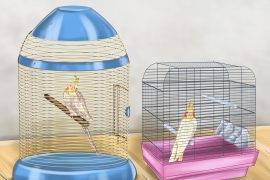 They can be troublesome at times for their difficult maintenance and bulky size, which results in difficulty in storage and maneuverability. This type operates on battery and it is preferred for easy mobility and by not restricting the user into a particular geographical area. The best brands facilitates their product with very high voltage batteries which then gives excellent run time and power in the equipment. You need to charge the battery before it drains out and this is its major drawback. This is a mind-blowing electric, corded leaf blower. This one is a powerful resource capable of producing 250 MPH of air. 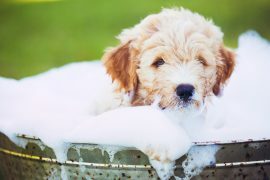 It is a dual product which could be set to both blow and vacuum as needed. 12 AMP of electric power with several useful accessories makes it a very much complete system for all kinds of leaf blowing and domestic uses. When in either of the modes, the speed of the equipment could be controlled according to the given options, which gives you more control over the tool when it is in an extensive use. Finally, it has the sufficient size of the vacuum tube which is good enough to support in all practical needs of such tool. 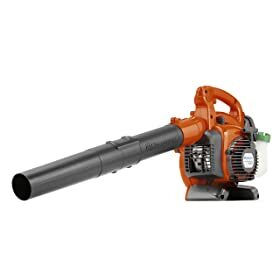 This one is the best seller from the renowned Black and Decker manufacturer of leaf blowers. 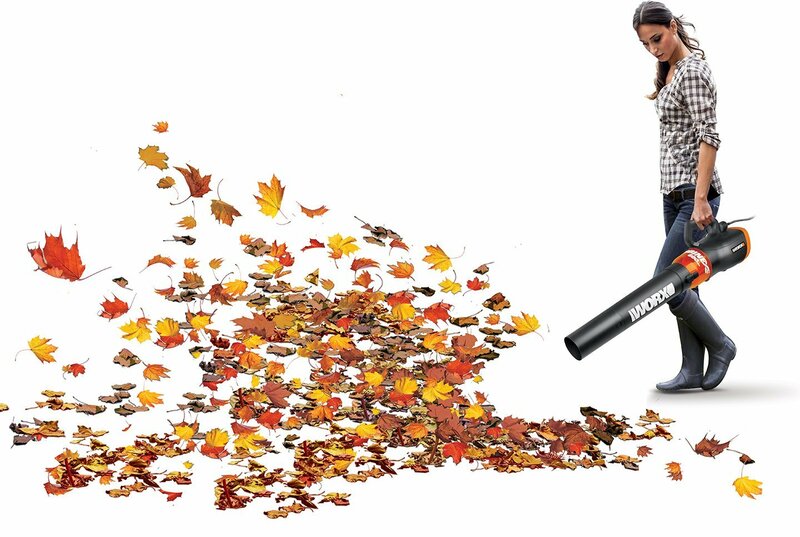 It is an electric leaf blower that comes with a cord and gives you 3 in 1 functionality. Meaning that this tool could function as a leaf blower, vacuum and also as a mulching machine. The wind speed offered by this tool is as much as 250 MPH. It produces relatively lower sound as compared to many of its compared which is as low as 68 dB only. The speed isn’t freely variable, but however, there are 2 different speed levels that you can utilize. This is a mini, small size electrical corded leaf blower with 7 AMP electric power capacity. 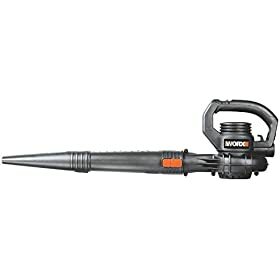 If you have a small size yard with occasional leaf blower needs, then this particular product could be your best bet because of its features, versatility and the economical factor. It can produce air at a speed of 160 MPH, which is quite useful for small scale leaf blowing needs. The design is ergonomic with super easy grip and exceptionally light in weight. The cord has a safety feature too, which inhibits the cord from disconnecting. This is yet another fantastic product from Toro which huge fan following. It is a resourceful electric machine having air rating of 250 MPH. The user has variable control over the speed of the machine which gives them more control over the job that user does. It comes with useful accessories such as a cord storage place, nozzle (concentrator), bag and a power insert. The accessories do not include an extension cord attachment which is a miss, but the other excellent features somehow compensates well for this. 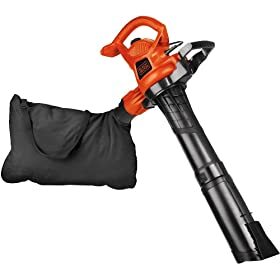 If you are looking for the best cordless type leaf blower then this one from Black & Decker could suffice all your needs with ease. It is powerful enough to clear not only leaves, but also sand and debris with utmost ease, off from your walkways, patios and decks. It has the popular 20V lithium ion battery which promises to last long and also does not add too much to the weight of the tool. 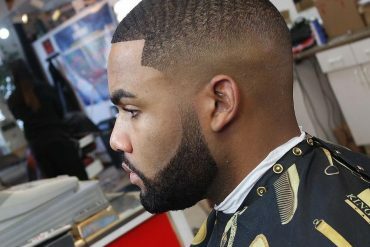 So, there is no risk of twisting your wrist or feeling any kind of strain while using the tool for longer duration of time. 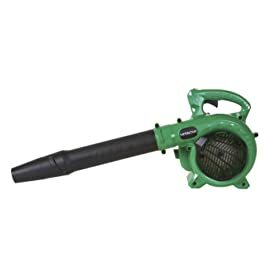 Hitachi is a big name in producing quality based domestic products and this gas powered 2-cycle handheld leaf blower is no exception. It is a gas powered one, economical but ideal for limited use. It is capable of producing blowing air at 170 MPH. It has a commercial grade 23.99 CC 2-stroke engine which gives it excellent performance capability and longer product life. The best part of its package is the warranty which is 7 years for domestic use, 2 years for any commercial use and year long warranty for rental use. This is a powerful electric one with 2 speed variable tool control. It is quite simple and easy to use tool with convenient assembly upon product arrival. 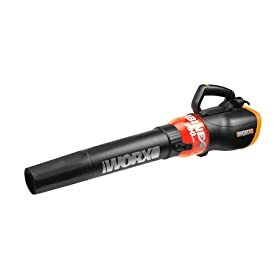 The air volume produced by this leaf blower from Worx is 160 MPH, which is suitable for small scale use. 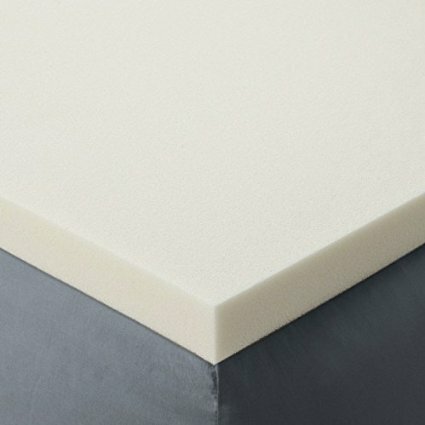 It is economical and product reviews from customer shows that this one is also made to last long with no deterioration in quality ever over time. 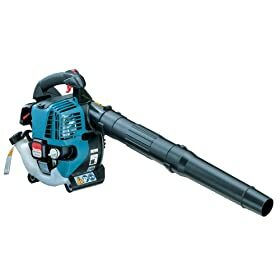 This one from Makita is a commercial grade gas powered leaf blower. For heavy use, this one proves to be a powerful one and also fuel efficient. It has a 25 CC engine which in this leaf blower category is quite popular. The engine comes with a decompression (automatic) which makes its starting quite quick and easy. On the other side, with all the powerful abilities, it comes with quite a compact and lightweight design which suits the needs of many regular leaf blower users. This one is an excellent handheld gas powered leaf blower from the Husqvarna manufacturers, with exciting features. It offers air production at 170 MPH and its lightweight design is such engineered, that it eliminates any wrist twisting risk while handling the product. It is CARB compliant gas powered leaf blower with easy starting in all weather conditions. This is a unique compact size leaf blower with 600 CFM capacity. It is a powerful tool with ability to control the speed of the equipment variably. The airflow design of the tool is engineered dynamically which gives superior performance and ensures longevity of the product. It has an ergonomic design with convenient grip, lightweight, which offers one hand operation. What features to consider while buying a leaf blower? Air MPH Ratings – The MPH rating tells about the speed of the air that will be produced through the blower. Higher the speed or the Miles per Hour (MPH) rating, better will be the performance of the product. Cubic feet per minute (CFM) - CFM is the measure of air volume with which the leaf blower could move. SO, if you are looking to blow debris away, then CFM is a highly critical consideration and higher the CFM rating, better will be the performance of the blower with debris and other solid particles. 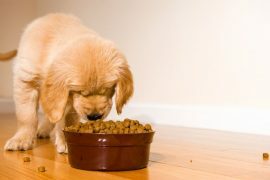 Reduction Ratios (RR) – This is usually given as 10:1 or 12:1 etc. It gives an indication about the number of bags for a leaf blower could be reduced to one bag having mulching capabilities. Tubes or chutes – This feature comes with most of the leaf blowers having vacuum capabilities which help in collecting leaves. Variable speed settings – This gives the user control over the speed of the tool where some offer 2-speed to multiple speed levels. Noise (dB) – Noise rating measured in decibels gives the amount of noise that an equipment produces. Lower the noise, better will be the equipment in terms of having silent, yet powerful performance. A leaf blower is a versatile equipment and its use is not just limited to blowing away the shedding leaves. However, it could be used as a useful machine all year around. You can use it in summer or the windy season to blow away the sand from your deck or patio. 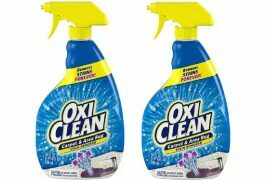 It could also be used internally for dusting your couches, carpets or rugs. 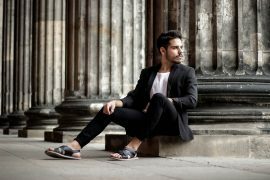 Thus, it can have as many uses as you may relate to, where the blowing capability of the discussed equipment could be utilized. The first thing to do is to analyze your needs and wants. Consider that for what purposes, you will be using the equipment and what will be the frequency of the usage. Now, consider the different types of leaf blowers and map their usefulness to your needs. Remember, that all the three types including electric, battery powered and the gas powered are versatile and yet they satisfy specific needs of the people. Shop only for the branded products. This thing had a number of benefits such as good credibility, large number of product reviews, longevity and hassle free maintenance and troubleshooting of the equipment. If you are looking for the best deals with price crunch offers then shop online. You can browse for the best deals online and good amount of money could be saved which is not possible otherwise. As we can conclude from all the of the key points discussed above, a best leaf blower for home is an essential equipment to have at home. It could make your life easier in trashing fallen leaves in the fall season. They are of different types such as the battery powered, corded (electric) and the gas powered ones. All are useful in their own way with a wide applicability and a number of uses. 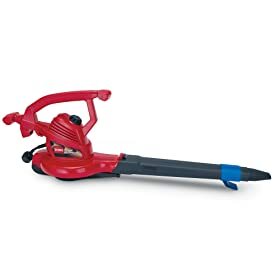 It is advised to ensure the best buy by estimating the features, reading through best leaf blower reviews online, and then getting the best product by searching online for the best price offer.